It is experience only, which gives authority to human testimony; and it is the same experience, which assures us of the laws of nature. When, therefore, these two kinds of experience are contrary, we have nothing to do but subtract the one from the other, and embrace an opinion, either on one side or the other, with that assurance which arises from the remainder. But according to the principle here explained, this subtraction, with regard to all popular religions, amounts to an entire annihilation; and therefore we may establish it as a maxim, that no human testimony can have such force as to prove a miracle, and make it a just foundation for any such religion. In other words, Hume is saying that mankind’s experience of the world has well-established that the laws of nature are essentially ironclad. In order to believe the testimony of a miracle, one would need more evidence than all of humankind’s experience of the laws of nature, which of course is impossible. On the other hand, we often experience that people at times lie about what they’ve seen or are simply mistaken. The probability against a miracle is extremely high. There are a lot of problems with Hume’s argument, but I want to focus on his use of probability. Hume only considers one part of the equation. 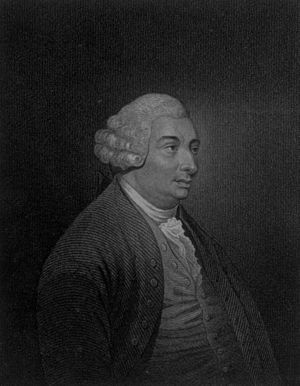 Hume says that since miracles are by definition improbable events, we are irrational to accept that a miracle ever occurred. Given our knowledge of the world, this overwhelms any evidence that can be offered. Rather than asking ourselves of how improbable that a miracle did occur, what we need to be asking ourselves is “what are the chances that a miracle did not occur given the specific evidence that we have? ” We can’t just write off miracle claims with the wave of a hand as Hume and his skeptic followers would like us to. The miracle hypothesis would gains probability as the alternative explanations are demonstrated to be improbable. So when we look at the full scope of the evidence and see that the hallucination theory, wrong tomb theory, or the conspiracy theory are shown to fail in explaining the full scope of the data, the miracle hypothesis – which does cover the full scope of the data quite well – becomes more and more probable in comparison. Moreover, who is to say that natural law is uniform? Only if we presuppose that naturalism is true would we conclude that nature is as uniform as Hume would lead us to believe. If we assume that God does not exist or He does not act in the world from the start, then of course miracles are extremely improbable. But if God exists and He is a free agent, He can put his stamp of approval on whatever pleases Him. He might want to heal a cancerous person because He sees their faith, or in the case with Jesus of Nazareth, God may decide to resurrect him as an endorsement of his claim to be the Son of God. In his classic work A View of the Evidences for Christianity, William Paley asks rhetorically “In what way can a revelation be made but by miracles?” Paley’s answer is tersely straightforward: “In none which we are able to conceive.” In other words, if there is a God who wishes to unmistakably show Himself to us, miracles are not improbable, they are unavoidable. Not long ago, I shared some of the evidences that point to the historicity of the resurrection. I recommend you to read my original post before you continue on if you haven’t already. In a nutshell, the case for the resurrection is built on a few historical facts that nearly all of modern scholarship accepts, even some of the more skeptical critics. 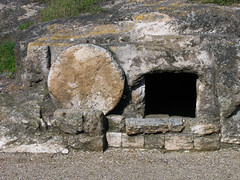 Jesus’ tomb was found empty by several of his followers. His followers believed they experienced appearances of the risen Jesus. Paul persecuted the church, and James was a skeptic. Both were converted because of postmortem appearances of Jesus. The origin of the Christian movement. The resurrection hypothesis fits all these facts nicely, but that’s not to say that there haven’t been any objections made to the conclusion that God raised Jesus from the dead. Obviously, if Jesus really did rise from the dead by a divine miracle, the implications are…well…pretty huge, and for many that’s an unwelcome thought. Critics driven by an earlier commitment to naturalism – that is the view that nothing but natural laws work in the world – have suggested different naturalistic hypotheses to fit the evidence over the years. However, due to a lack of overall cogency of these alternative explanations, most of these opposing theories have been set aside. For the sake of time, I’ll list out the major ones here and address why they don’t really work in a rather terse way. If you’d like me to discuss any of these more in greater detail, just ask in the comments and I’d be happy to oblige. The Journal of American Medical Association helped put this to bed. The Roman executioners knew their job and performed it well. A half-dead Jesus isn’t going to convince his own followers he’s the triumphant Lord over death. And he certainly wouldn’t convince skeptics like Paul or James. They wouldn’t have seen him as the risen Lord, but as someone in desperate need of medical aid. Most scholars agree that the gospels are written in a historical genre. 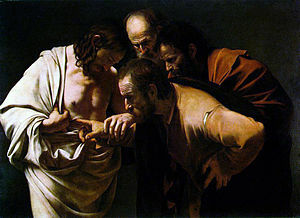 The Jesus leaders took the disciple’s belief in the resurrection seriously enough that they claimed the disciples stole Jesus’ body in response to the movement. That presupposes an empty tomb, which this theory doesn’t explain. Parabolic legends wouldn’t have convinced the church persecutor Paul or the skeptic James. It seems strange to die for something that you essentially know is a lie or a fanciful parable. The disciples were willing to suffer and die for what they saw. The resurrection was preached from the outset. (e.g. the creed in 1 Corinthians 15, the sermon summaries in the Book of Acts). The story is too early to allow for legend. Appearances were to individuals, skeptics and most notably groups. Group hallucinations aren’t possible. Hallucinations can’t account for the empty tomb. Liars make terrible martyrs. What did they gain out of it? Persecution, affliction, torture. Paul and James’ faith was based on appearances. The burial story is well established. Joseph of Arimathea’s tomb would have been a well-known site. The disciples faith – including the converted skeptics – were based on appearances, not the empty tomb. The women and disciples went to the wrong tomb – 60% likelihood. (.6 x .6 x .6) =21.6% likelihood. So combining different theories to fit the evidence doesn’t help. Some say that faith is a blind leap in the dark, but in light of the historical evidence, it seems pretty rational to accept the hypothesis that God raised Jesus from the dead. I remember being a skeptic and reading 1 Corinthians 15 where Paul describes the resurrection appearances years ago and thinking how different these sorts of claims were when compared to other religions. I mean, citing that nearly 500 living witnesses who could be questioned upon request wasn’t the typical “just have faith” type of response I may have heard. If Christianity was true, then there was meaning to life and life beyond death. This was in stark contrast to some of the nihilistic rap music from the likes of 2pac I was baptizing my mind with as a teenager. Rather than facing the absurdity of life without God and embracing its “unyielding despair” as the famed atheistic philosopher Bertrand Russell put it, the man from Galilee called himself the Resurrection and the Life and then backed it up. If Christianity has any chance of being true – and there is plenty of justification in believing that to be the case – then I believe it is worth accepting, or at the very least, taking a hard look at. Hopefully what I’ve shared helps remove a few intellectual barriers that one might have. In a future posts, I hope to discuss objections to miracles and the exclusivity of Christianity. I’ll be the first to admit it – the very idea of a resurrection, naturally speaking, is a pretty zany idea. (Yes, I said zany) It’s seen an affront on our modern sensibilities. Dead people simply do not come back to life after three days. So it seems crazy to some that Christians hang their faith on such an improbable event that supposedly happened in history. But really, that is actually just a philosophical objection to miracles. It’s one I used to have, and I believe it’s worth answering. I’ll attempt to do so in a future post. But for now, believe it or not, regardless of what one thinks philosophically about miracles, there is actually some very solid historical evidence that backs up the claim of Jesus’ resurrection without appealing to Biblical inerrancy or special revelation. Rather historians approach the bible as any other work of ancient antiquity. Contemporary historical scholarship – liberal, moderate and conservative – share in common the acceptance of some bare facts about what happened after Jesus was crucified that might surprise you. So what are these facts? There are actually several, but for now I’ll give just three. This fact is a little more contested, but Dr. Gary Habermas of Liberty University has compiled a list of more than 2,200 sources in French, German, and English in which experts have written on the resurrection from 1975 to the present. 75% agree to the empty tomb of Jesus. There are many reasons why they do, I’ll lay out three here. Christianity started and spread like wildfire in Jerusalem, the city where Jesus was buried. The Jews and Romans both did not appreciate this young, new movement at all, which is exactly why they crucified Jesus. All they needed to do was produce a body and it would’ve ended it right there, or at the very least, ended it for the majority of Christians who would then begin to doubt the apostles claim of seeing the tomb empty. Stronger still, the enemies of Jesus did not contest that the tomb was empty. In fact, Matthew 28:15 tells us that the earliest Jewish response was to accuse the disciples of stealing the body. Think about that for a second. Rather than just pointing to where Jesus was buried and just have a good laugh at the disciples’ expense, their opponents themselves admit the tomb was empty by saying the disciples stole the body. Women, of all people, were the first to report the empty tomb to the disciples and written in the gospels. In that day making up such a story would actually hurt their case, because women were second class citizens and were treated more like property than people. Take for instance such rabbinic sayings found in the Talmud, such as “blessed is he whose children are male, but cursed is he whose children are female”, or “sooner let the words of the Law be burnt, then to be delivered to the hands of women”. The famous Jewish historian Josephus notes that women’s testimony was not accepted in court. If the story was made up, the disciples would’ve reported themselves as the first witnesses of the empty tomb, and not damage their own case with this embarrassing admission. On multiple occasions and under different circumstances, people and groups of people experienced appearances of Jesus alive from the dead. This fact is virtually undisputed among contemporary scholarship, even from among the most skeptical of scholars such as Gerd Lüdemann. Scholars believe this is a creed because of its style and non-Pauline language. Paul converted around 1-3 years after the crucifixion. This creed probably goes back at least to Paul’s fact-finding visit to Jerusalem around AD 36, when he spent two weeks with Peter and James (see Galatians 1:18-2:9). At the very latest, he could have had it no later than when he visited the Corinthians in 51 AD. So this is extremely early source data, stuff historians geek over. It’s definitely far too early for legendary development. Finally, no matter what critics think of the gospels, we also have them as source data of what the disciples believed they had saw written within 25-60 years after the fact. Most importantly, we know they believed it. We have several ancient sources that show the disciples willingness to suffer and die for their claim. While people convert to different religions all the time, and may indeed be willing to die for their beliefs, the disciples would have known what they were suffering for was a lie or not. And liars tend to make bad martyrs. 3. The Jewish theological beliefs of the early Christian community underwent several alterations that are unexplainable apart from the bodily resurrection of Jesus. These mostly come from historian N.T. Wright, and they are listed as follows. Jews had a long-going debate of the nature of the afterlife and resurrection. You can see this reflected in Jesus’ own time. The Sadducees believed there was no resurrection. The Pharisees believed in the resurrection (and Jesus sided with them) and that it would happen on the last day. There was no debate within the Christian community after the resurrection: You go to heaven when you die and then get a body identical to Jesus’ resurrection body on Judgment Day. Resurrection goes from a peripheral issue in Judaism to a central one in Christianity. There is also a new metaphorical concept of resurrection, referred to as being ‘born again’. The spirit of a person is already resurrected upon believing upon Jesus. (Romans 6:1-11). The body one day will be resurrected. There is a new association of the concept of resurrection to the Messiah. The Jewish Messiah was not thought to ever die, which is why they all abandoned Jesus, and why Peter went so far as to deny him. The idea of a single man resurrecting from the dead before the ‘last day’ was an entirely new idea. Now Jesus is the “firstfruits” of those who rise. The Christians had a new eschatology which centered around the return of Christ. The concept of a suffering Messiah, bearing the sins of the world becomes part of the central message. This was a foreign idea before. All told, these facts are rather inexplicable and naturalistic explanations don’t offer a full explanatory scope for them. In fact, most naturalistic explanations that have been contrived over the years have fallen by the wayside. The inference to the best explanation, whether we like it or not, is that the resurrection actually happened. The reason those who deny it does not seem to based on historical information, but because of their own presuppositions. In future posts I’ll discuss some of the competing explanations and then we’ll deal with the so-called problem of miracles.